Nikkei Australia has received ongoing funding from the Australia-Japan Foundation (Department of Foreign Affairs) as well as new funding from Cowra Council and the Cowra Breakout Association to complete the Cowra Voices storytelling app. The project was initially funded in the 2017-2018 financial year by the Australia-Japan Foundation. With this additional funding for the 2018-2019 financial year, the project is expected to complete the geo-location capable storytelling app in time for the 75th anniversary commemorations of the Cowra Breakout in August, 2019. 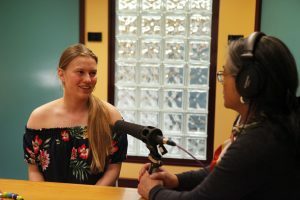 The additional funding will go to editing the audio already recorded in Cowra in September, 2018, creating the back-end of the app, testing the app, and the launch. Cowra Voices is a partnership between Cowra Council, Arts OutWest, Cowra Tourism Corporation, ABC Central West, Tokai University and Nikkei Australia. Nikkei Australia members Mayu Kanamori, Chie Muraoka, Jacque Schultze and Masako Fukui are involved in this project. More information can be found at the Cowra Voices website including a blog chronicling the progress of the project.